The action of simply filling in what you ate for meals and snacks is enough to make you mindful about not grazing on crappy food. MyFitnessPal's ability to facilitate this so simply means it's the easiest way to lose weight and that makes it a winner in our book. Diets and weight loss can be very confusing even if you think you’re well informed about such things – results rarely match expectations even when you do follow through. Perhaps you’ve watched That Sugar Movie and balked at how ‘Diet’ and ‘Healthy’ foodstuffs which we’re all familiar with can contain so much sugar (in place of fat) and what the physical repercussions can be of that (Fatty Liver, weight gain etc). Then we have the Sugar versus Fat documentary where the Van Tulleken twins (identical twin doctors) went on Fat-based and Sugar-based diets to compare them. Extraordinarily, they found that the twin who cut out sugar became most at risk from diabetes because his body started creating sugar by devouring its own muscle tissue which in turn made his body more resilient to insulin. Meanwhile, the twin on the pure sugar diet saw his body adapt to the sugar and create more insulin – too much as it happens. Their conclusion, which was later backed up with some compelling science, was that it’s actually having too much of the (unnatural) combined-sugar-and-fat foods that causes the problems because they literally act like a drug. The upshot? Eat a balanced diet that contains some of both and don’t’ overindulge on processed (sugar-and-fat-laden) foods and do some exercise. Who knew? Somewhere a million GPs just rolled their eyes. So the most effective method of weight loss is actually just not being an idiot about what you eat and calorie counting (with at least some moderate exercise). Thanks to technology, this is now easier than ever. We've tried many health apps over the years but the one that's evolved the best and really knocked it out of the part is, MyFitinessPal. Simply the process of thinking about what you’re eating is, in itself, enough, to stop mindless grazing throughout the day and this is arguably the main benefit of using this app. 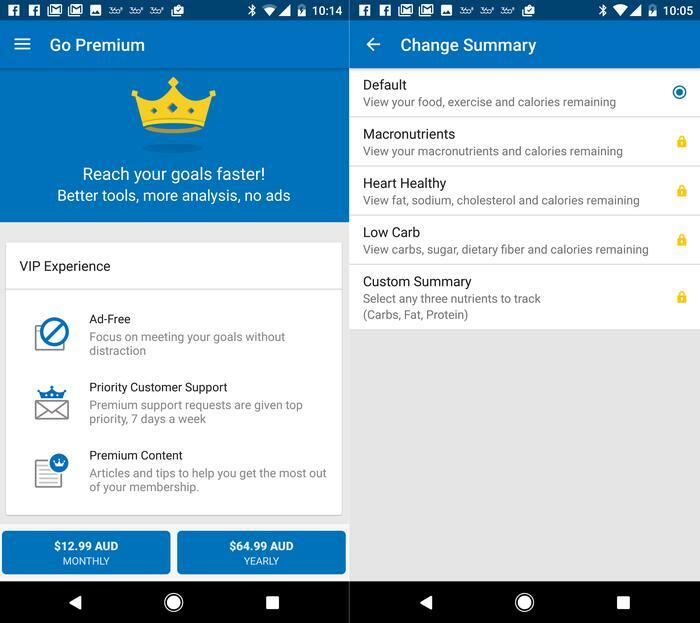 MyFitnessPal is free for the important things – food, weight and exercise logging – and it's very straightforward to use. 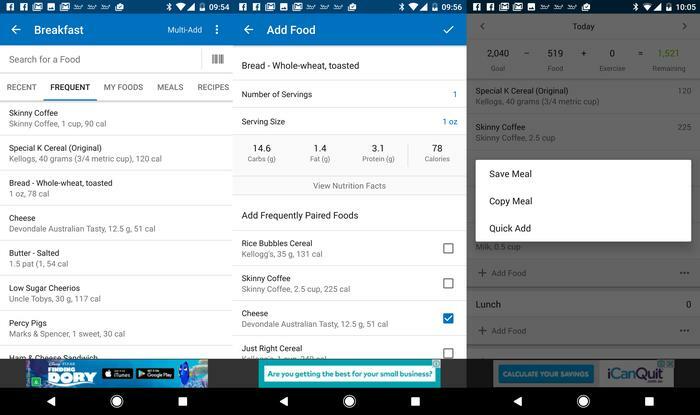 The problem with apps like this used to be that adding what you ate was a massive pain in the backside – you had to either manually enter names, calories and nutrient information and if there was a database of pre-entered food information, it rarely seemed to contain what you ate. Start by entering your height, weight and age plus how much weight you want to lose over what amount of time. Then tell the app how much exercise you do – you can say none. Then it will set you a certain number of calories to aim for each day in order to hit your weight-loss goals. MyFitnessPal is very easy to use nowadays. Data entry is simple and then everything is calculated for you. From this point you can simply add your foods either by quickly searching for them or scanning the barcode on the packaging. These days the list seems to be exhaustive. What's more, if you have the same breakfast everyday, entry becomes even quicker as the information is there one click away. Either way it takes less than two minutes to enter most meals. If doing two minutes of exercise a day is too much for you (and let's face it, for many people it is), then this is your dream. Even the most rotund, motionless blob has time and ability to enter this information. Entering what you ate gets increasingly easier and it's quick in the first place. At the very least it’s interesting to see how many calories are in which foods – you can quickly see if there’s one thing that’s causing you issues or whether something you’ve been avoiding is actually something you can have more of. Logging exercise is simple enough and, as before, once you’ve entered your main activity (whether it’s a walk, run, weights, gym, whatever) you can add it in one click the next time. 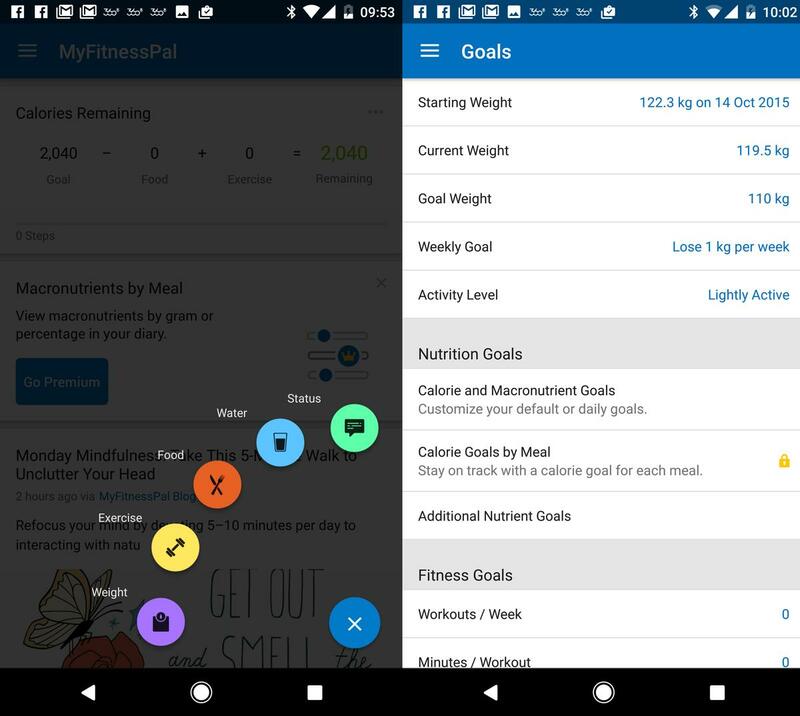 Adding your weight is straight forward and you can also add status updates and progress pictures. All of this can then be shared with social media friends or the MyFitnessPal community – or not. There's a reddit community if you want more help finding friends to compare with. 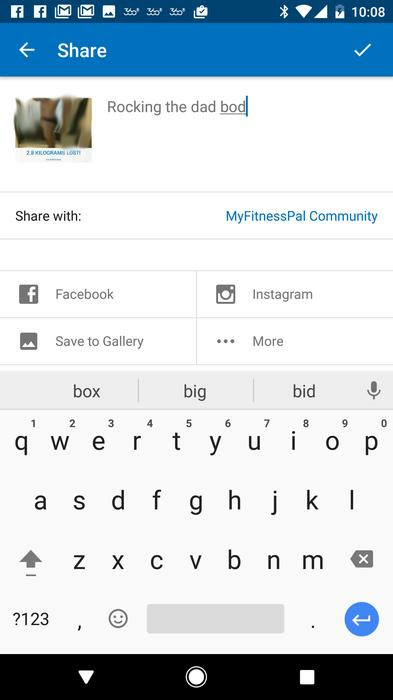 You can share as much or as little as you like on social media or with the MyFitnessPal community. These are all the key features and are available for free. There are also Blogs, the ability to link with various fitness tracking hardware and pedometers to make adding exercise automatic. Everything is stored in the cloud, so you can come back to it months later and carry on. There are plenty of premium features too with parent company, Under Armor, frequently at the middle of everything. They aren't cheap but can be useful for those on a specific weight-loss mission or serious athletes who need to religiously track training and diet. Most premium features revolve around adding extreme nutrient detail to meals but that’s overkill for people just wanting to lose some weight. Most people won't need the Premium features. It might not be 100 per cent accurate, but the action of simply filling in what you ate for meals and snacks is enough to make you mindful about not grazing on crappy food throughout the day. As such, it must be the easiest way to lose weight and that makes it a winner in our book.